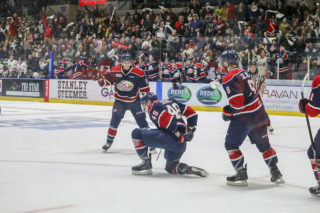 Toronto, ON – The Ontario Hockey League today announced the schedule for the 2018 OHL Eastern Conference Championship Series for the Bobby Orr Trophy between the Hamilton Bulldogs and the Kingston Frontenacs beginning on Wednesday, April 18, in Hamilton. 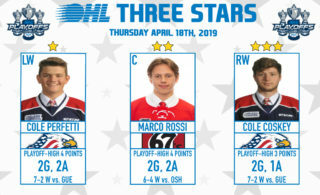 The third round series features the first and third seeds in the OHL’s Eastern Conference standings during the 2017-18 regular season. 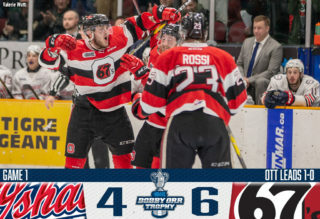 The Bulldogs captured their first Leyden Trophy as East Division champions with a Conference high 93 points powered by a 43-18-4-3 record before eliminating both the Ottawa 67’s and Niagara IceDogs in five-game series victories. The Frontenacs produced 81 regular season points with a 36-23-6-3 record before defeating the North Bay Battalion in five games and the Central Division champion Barrie Colts in six. 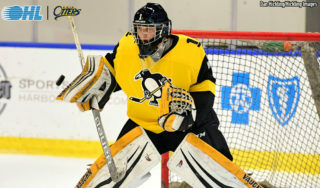 During the 2017-18 regular season the East Division clubs went head-to-head six times with five meetings decided by a single goal including a pair of shootouts to open the season series and a pair of overtime decisions to end it. The Frontenacs won 4-3 by shootout on October 1, followed by another 4-3 shootout on October 14 that favoured the Bulldogs. 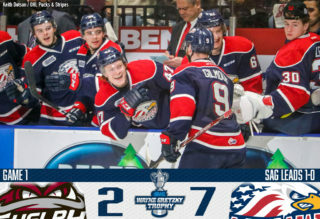 Kingston emerged victorious by a 3-2 score on November 17, with Hamilton winning the final three games including 7-4 on December 30, 3-2 in overtime on January 19, and 2-1 in overtime on February 23. This marks the second straight season the Bulldogs and Frontenacs will meet in the OHL Playoffs with last year’s encounter going seven games in opening round action won by Kingston. The Eastern Conference Champion receives the Bobby Orr Trophy named in honour of the Hockey Hall of Fame member who played four OHL seasons with the Oshawa Generals from 1962-66. Both the Bulldogs and Frontenacs are competing for their first Bobby Orr Trophy since the two conference division in 1999. Prior to their move to Hamilton in 2015, the Belleville Bulls won Eastern Conference titles in 2008 and 1999. The Frontenacs last played in the league Semi-Final in 1993 losing 4-1 to the Peterborough Petes, while the last time a Hamilton team played in an OHL Semi-Final was 1988 when the Steelhawks were defeated 4-0 by the Windsor Spitfires. Who will win the 2018 Bobby Orr Trophy? 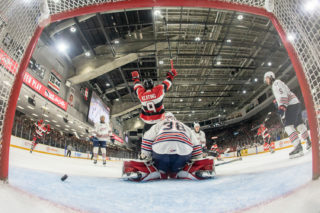 The Ontario Hockey League, in association with its digital media partner NeuLion, are proud to offer special packages and rates for OHL Live coverage of the 2018 OHL Playoffs on PC, Mobile, and Tablet devices through the OHL Live app.